Lenovo Z2 Plus is Launching on September 22 in India. 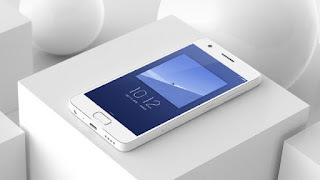 Lenovo Z2 plus is already launched in china the review is good about Lenovo Z2 plus. coming with the Android 6.0 Marshmallow with 5.0 Inch full HD (1080 pixels) display. The LCD display is with 2.5 curved glass is powered by Qualcomm's Snapdragon 820 chipset. The internal storage is with 64 GB and RAM with 4GB (LPDD R4) with the finger print scanner which take 0.1 seconds to unlock the phone. Lenovo Z2 Plus coming with the Processor is with Qualcomm's Snapdragon 820 Quad-core processor with 64-bit, Battery capacity is 3500 mAh, Camera Primary 13MP and second Camera 8MP with F/2.0 Aperture, Dual Sim is capability which support 2G,3G and 4G technology.